1. 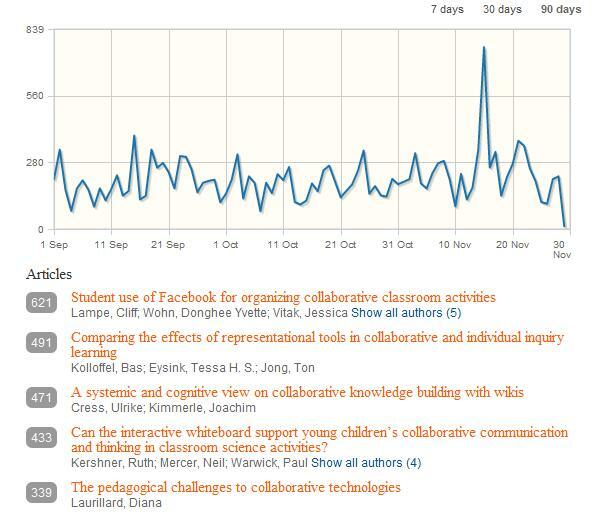 Great news: article on student collaboration in Facebook has been most downloaded article (in past 7, 30, and 90 days) in the International Journal of Computer-Supported Collaborative Learning. 2. Two papers and one case study were accepted for CHI2012. See you in Austin, Texas!